India's attack on Pakistan's boundaries depicts more than violence, that is unending hatred. That shelling killed at least nine civilians on Friday, after which Pakistan summoned the Indian High Commissioner to the foreign office and lodged protest over the ceasefire violation at Working Boundary. Foreign Secretary Aizaz Ahmad Chaudhry summoned Indian High Commissioner Dr TCA Raghavan and protested against the unprovoked firing from the Indian side of the border at Harpal and Chaprar that left six civilians dead and 47 injured including 22 women. A statement released by the Ministry of Foreign Affairs read that three villages came under Indian shelling, including Kundunpur, Bajra Garhi and Thati . The Indian aggression left many houses damaged. 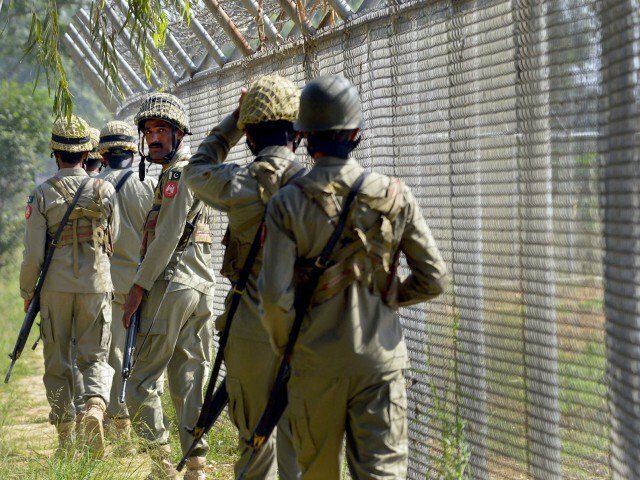 “Firing by the Indian side started at around 11:30 pm last night, when Pakistani troops confronted India for using an excavator, near the Working Boundary without following the established SOPs. Pakistani troops initially exercised restraint however, responded befittingly when India started heavy firing. The firing ended today at 11 am,” the statement read. Meanwhile, Prime Minister Nawaz Sharif expressed his concerns over the ceasefire violation and the loss of six innocent lives in the cross-border firing. At this moment when peace is need of hour, such violent and aggressive attacks from India by any mean could get more rage from Pakistan. The lives lost in Pakistan demands strong actions by the government beyond condemnation.